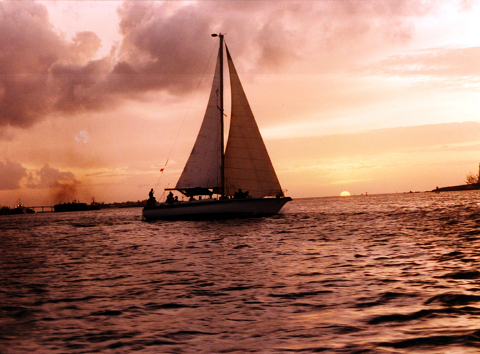 Sail around the picturesque Nassau harbor and enjoy the natural beauties of our island at dusk. Join us for a two hour sunset cruise. Sail off into the sunset to enjoy an evening that's soothing, restful, and romantic, all in the enchanting setting of Nassau Harbour at dusk. This cruise doesn't go anywhere in particular - sailing through Nassau Harbour, under the Paradise Island bridges, out into Montagu Bay, down by the cruise ships, or on the North side of Paradise Island. Complimentary champagne is served (2-3 glasses per person), along with light hors d'oeuvres (cheese & cracker trays). The dress is casual, and shorts are perfectly acceptable. 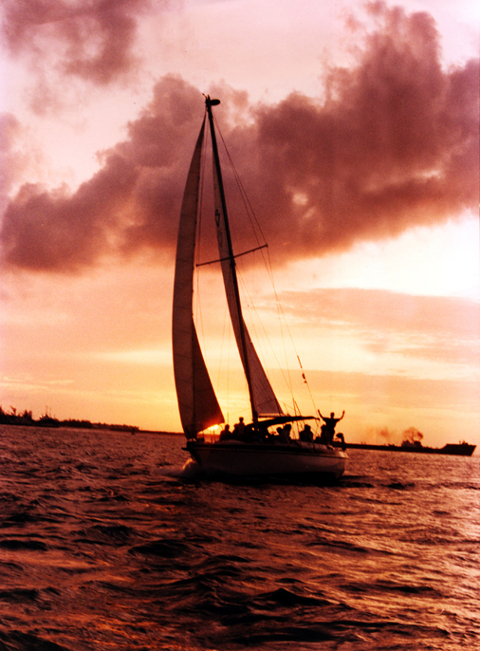 Don't forget to bring your camera to capture the beauty of a Bahamian sunset, and Nassau's enchanting harbour lights. Times are seasonal to coincide with the sunset.